CarbonOrO, a company established in Nijmegen, has found an innovative and cost effective way of capturing CO2 from gasses. They are active only since 2013, but already two pilot projects are running. The fist project is with AVR, a waste to energy company. AVR and CarbonOrO jointly demonstrated that valuable CO2 can be produced from the flue gasses of a waste incinerator. Plan is to upscale to a small commercial plant and to further develop the technology. Captured CO2 can be used in greenhouses as an essential element for the growth of the plants. CO2 capture at scale could reduce CO2 emissions with tens of thousands tons per year. Moreover, CarbonOrO works together with Arie van de Groep to optimize the production of (bio)gas from biomass. 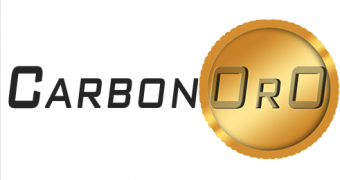 CarbonOrO technology allows to optimise the use of waste heat and to increase (bio)gas production with up to 15%. The installation will be made operational this year. CarbonOrO is looking to expand its business, eyeing various opportunities in the Rotterdam harbour area. As a member of Clean Tech Delta, the company will be on the outlook for innovative projects to capture CO2 and to turn it into use in downstream applications. At the 2016 COP21 conference in Paris, CarbonOrO received a ‘Climate Champion’ award from Climate-KIC, the EU’s largest public private partnership addressing climate change . CarbonOrO uses a bespoke amine solution to capture CO2 from gasses. The animation shows the heart of the installation with two main elements: an absorber and a desorber. Both are simple cylindrical vessels. The amine solution is pumped from the absorber to the desorber and back to the absorder in a continuous process. Raw gas (containing CO2) at ambient conditions enters the bottom of the absorber on the left. The amine solution flows top to bottom, in counterflow with the gas stream, and absorbs the CO2 from the gas. The cleaned gas evaporates at the top of the absorder. The amine solution transports the CO2 to the desorber where it is released by heating. Traditional amine desorbers operate at 120 °C or above; CarbonOrO desorber temperature is as low as 70 °C, saving 10-25% in energy. Moreover, heating can be done with waste heat (condensed steam) that is typically available at low cost in industrial environment. Adequate integration of desorber heating with existing utilities may save up to 50% in energy costs. Carbon capture is done at atmospheric conditions, not requiring any compression of raw gas.